This month, I’ll be leaving the hustle-bustle of the city behind and escaping to the country. 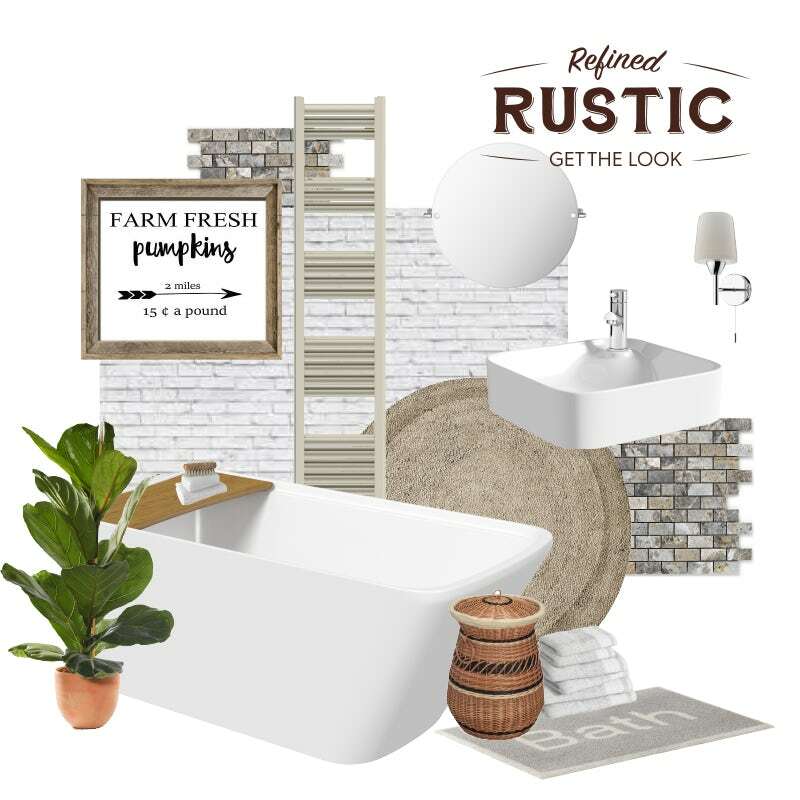 In our latest Get the look style guide, I’ll show you how to make the most of a rustic renovation with a bathroom that is both stylish and sympathetic to the original features of your rural property. With the right choice of products, colours, textures and accessories, you can easily work with, and accentuate, all the original features of a period home. 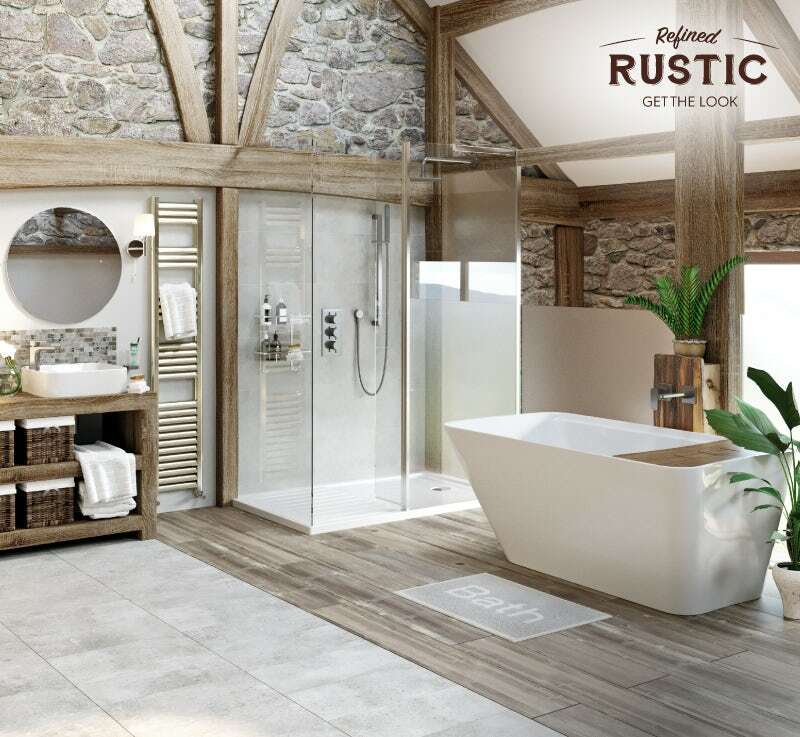 Whether you’re refurbishing a barn, cottage or coach house, you can enjoy a bathroom that’s fresh, contemporary yet in harmony with your surroundings. Why is “rustic” style so popular? Leaving the urban rat race far behind and moving to an idyllic property in the countryside is the dream of many a homeowner. Indeed, with our towns and cities getting ever more congested and cramped for space, many people are turning to the villages and hamlets of the UK to create their very own rural retreat. Research in 2017 showed that nearly 100,000 people moved out of the city and into the countryside, up 16% on the previous year and the highest figures since 2007, demonstrating the kind of pull the countryside has on urban-dwellers. 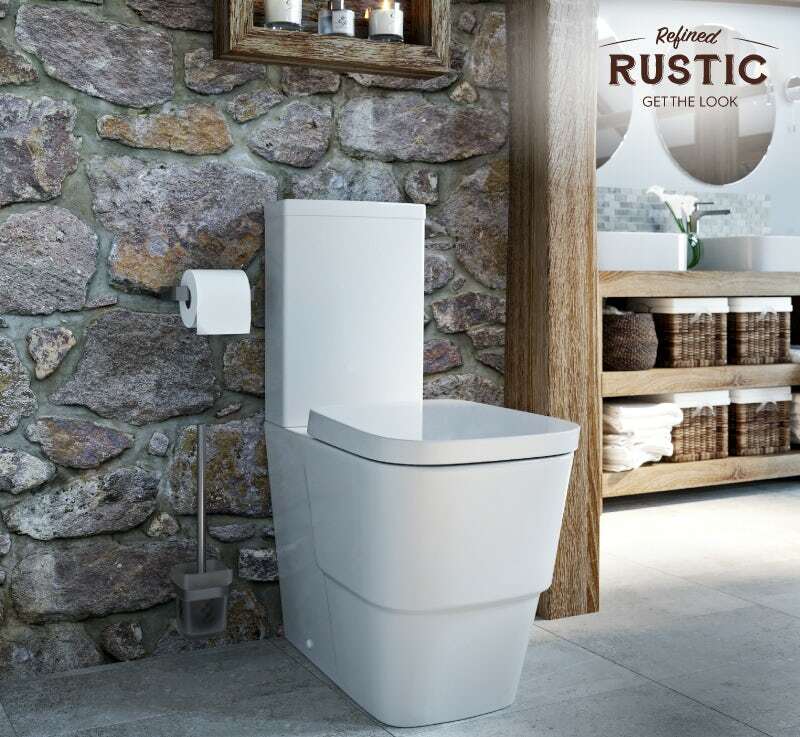 So, it’s only natural, that many of us are now looking into creating a bathroom that is in-keeping with the rest of a rural property, or at least, giving the impression of this rustic idyll. Take a look at just some of the customer bathroom photos we've received, showing this kind of design. What is the Refined Rustic look? Converting an old property, like a barn or farmhouse, to modern use doesn’t mean having to lose the character or history of your home. 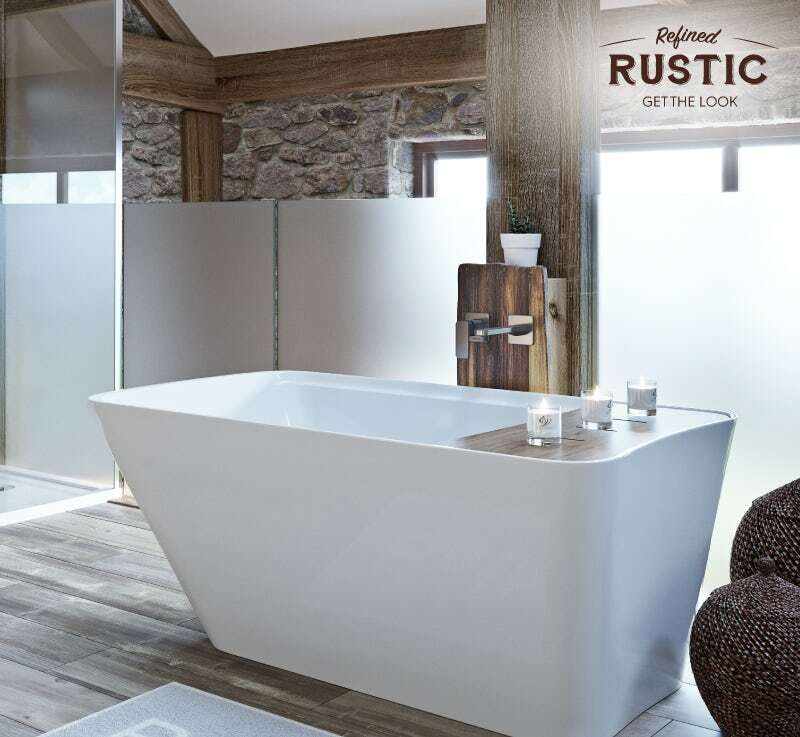 Indeed, with our Refined Rustic bathroom, you can enjoy the best of both worlds. Making the most of the original features of your property, the refined rustic look combines the warmth and natural appearance you’d expect from a country style with sleek, contemporary items to produce a look that is modern yet sympathetic. Choose contemporary basins and toilets, like those from Mode Bathrooms, with clean lines and subtle rounded edges that add a softer touch. 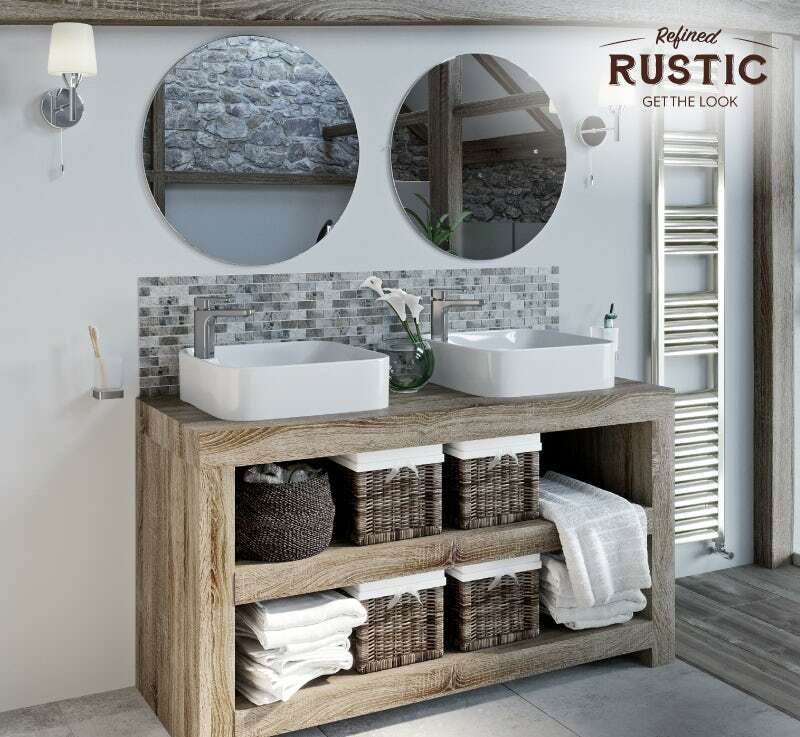 The pristine white of your suite will contrast brilliantly with the more rustic elements of your bathroom such as exposed wooden beams and rough stone walls. Bathroom furniture, like vanity units and countertops, should have a weathered, rustic feel to them, with faded oak or warm walnut being excellent choices. Keep your bathroom accessories to a bare minimum and let the sense of space do all the talking. Whilst rural properties lend themselves well to traditional décor, you can still achieve a bathroom that keeps up with the latest trends in terms of colours, textures and furnishings. In part 2 of this style guide, we’ll be taking a look at how you can achieve this look in a cloakroom or small bathroom. Click on the banner below to head there now. It’s time to get creative with your rural renovation. 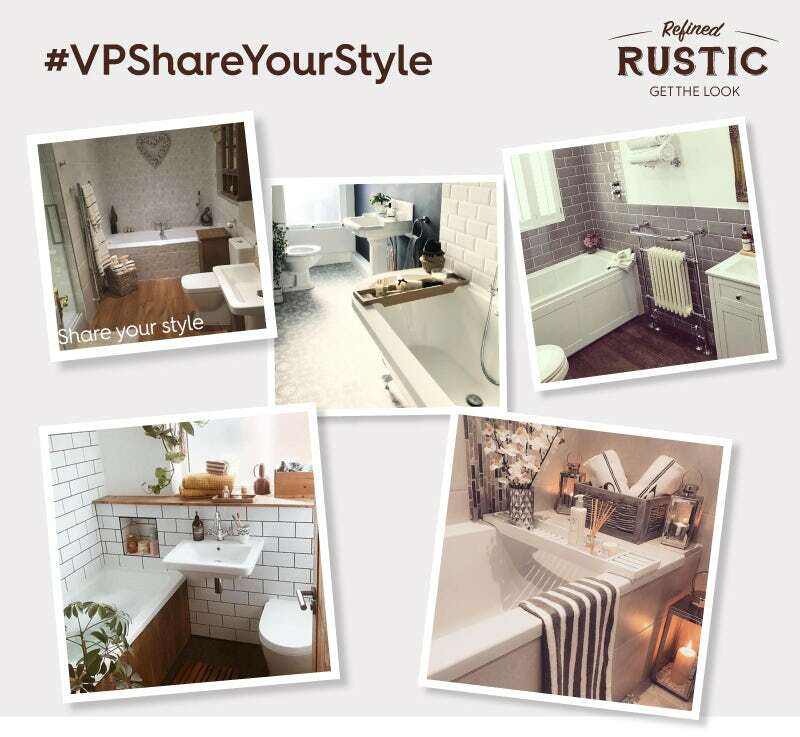 In part 3 of this style guide, I’ll be demonstrating the colours, materials, walls, floors and accessories you should choose for your Refined Rustic bathroom. This week, I'll be showing you how to get the Refined Rustic look in a small bathroom or cloakroom. A contemporary update on traditional country interiors, the modern rustic look places the textures and patinas of natural materials against the backdrop of an earthy, neutral colour palette for a look that’s relaxed, fuss free and easy to live with.